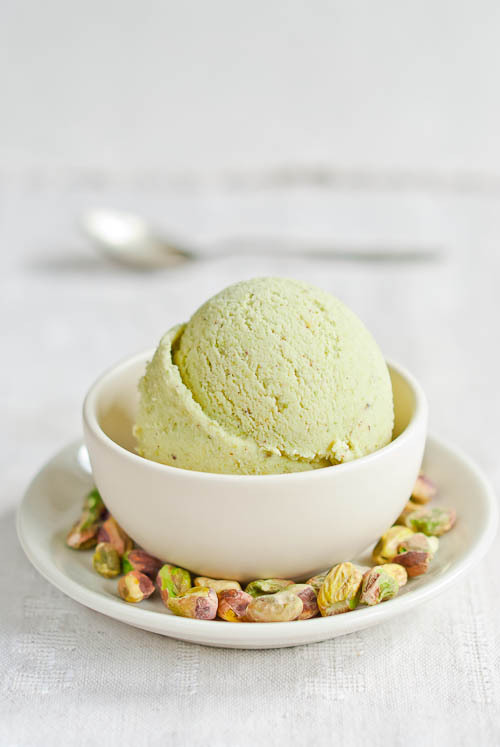 I made pistachio ice cream quite a while ago and waited too long to post the recipe. It has been in the freezer for a month or so and I wasn't able to take a decent photo to show you how delicious it is. I only have one photo. Yes, only ONE! I can't believe it myself. What is wrong with me? I have been lacking inspiration and creativity. I haven't made a nice photograph in a while. I can't! It's very frustrating! I love photography and I do love food photography. But I'm stuck, and it doesn't help to just hit the shutter button and wait for a miracle. It takes a lot more to be a photographer and create beautiful photos. I'm not a photographer, or at least I can't call myself a professional photographer. I'm just a passionate amateur. Taking photographs makes me happy and that's what is important. However, I have to take a break from food photography. I need to recharge my inner photography battery, and then I will come back and make beautiful photos again. Well, I hope I will. So please bear with me. 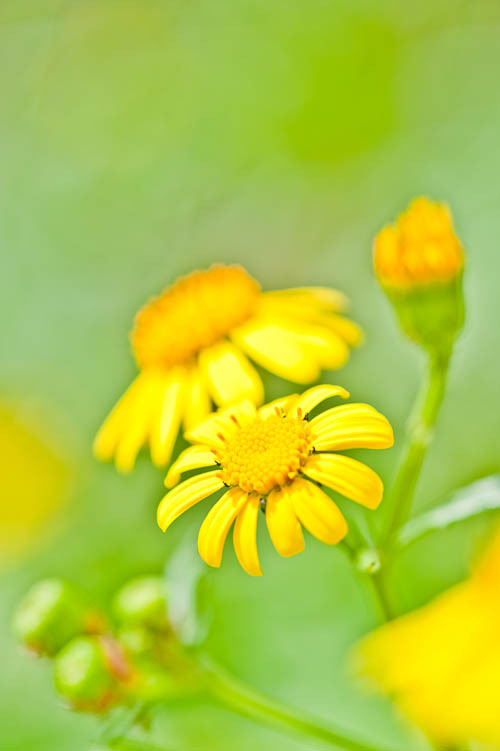 Today I won't share my favourite photos with you, I don't have any favourites except this one, my first macro photo. I like its colours. 1. Pour the milk into a saucepan and add the sugar. Bring to a boil over a medium heat. Remove from the heat and let cool completely. 2. Meanwhile, ground the pistachios in a food processor or blender. Whisk together the pistachios, creme fraiche and milk until well combined. 3. Freeze in your ice cream maker according to the manufacturer's instructions. If you don't have an ice cream maker follow these instructions. Pour your ice cream mixture into a freezer safe container and place it in the freezer. As the mixture starts to freeze around the edges, remove it from the freezer and stir well. Try to break up any frozen sections. Return to freezer. Repeat the process until the mixture is smooth and frozen. I often use a hand blender to break up all frozen crystals.